'Heroes die young' - so sayeth a famous saying. And it has been proven right since the warriors rose to defend their clans, frontiers and countries. History is replete with stories of such young men who sacrificed their lives to save many others of their colleagues and comrades. There are many such tales of sacrifices in our country too, specially since this non-sense war on terror was imposed on us. Many young men both within and without uniform laid down their lives fighting the menace of terrorism and defeating the mercenaries in the garb of religious warriors to disrupt the peaceful environment we once had. 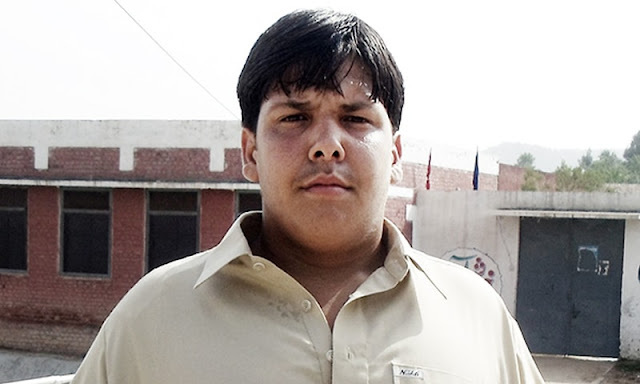 One of these hero boys was 15 years old Aitazaz Hassan Bangash. From the face of it, he did not look a sportsman or an athlete for he was rather chubby who was often teased by his colleagues and others for his overweight stature. That was how he was known till January the 6th, 2014. The day was just an ordinary day for countless children across Pakistan and the small village of Ibrahimzai, Hangu, Khyber Pakhtunkhwa, northern Pakistan where Aitazaz lived and like all other school goers, he was happily going towards his school along with his friends - never minding at all how they made fun of his overweight stature.